During my Chinese New Year holidays in Hiroshima in early 2017, we had an one-day trip in the city of Onomichi. 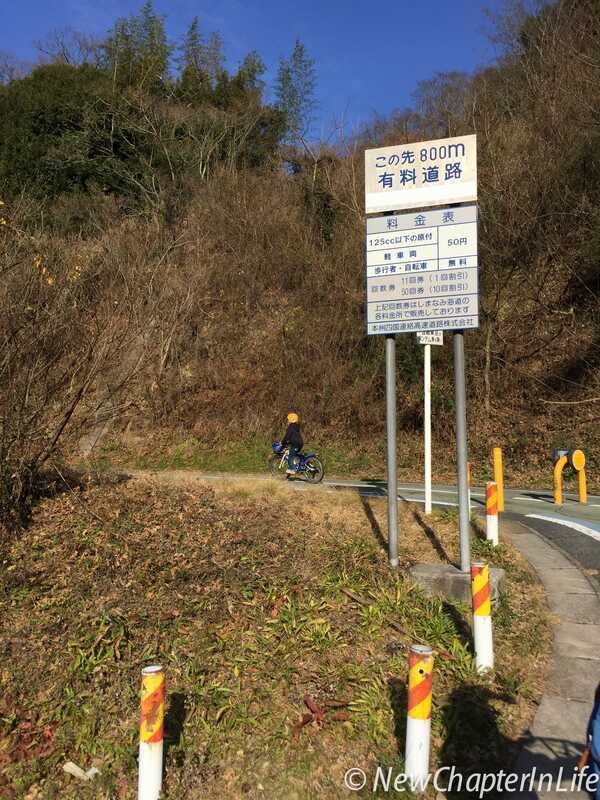 Fascinated by one of the top cycling courses in the world, Shimanami Kaido, my family and I had an ad-hoc short ride from Onomichi, crossing Mukaishima (向島) and arrived in Innoshima (因島) via the famous Innoshima Bridge (因島大橋). The scenery along the cycling course was stunning. The cycling infrastructure was great and convenient to the cyclists. 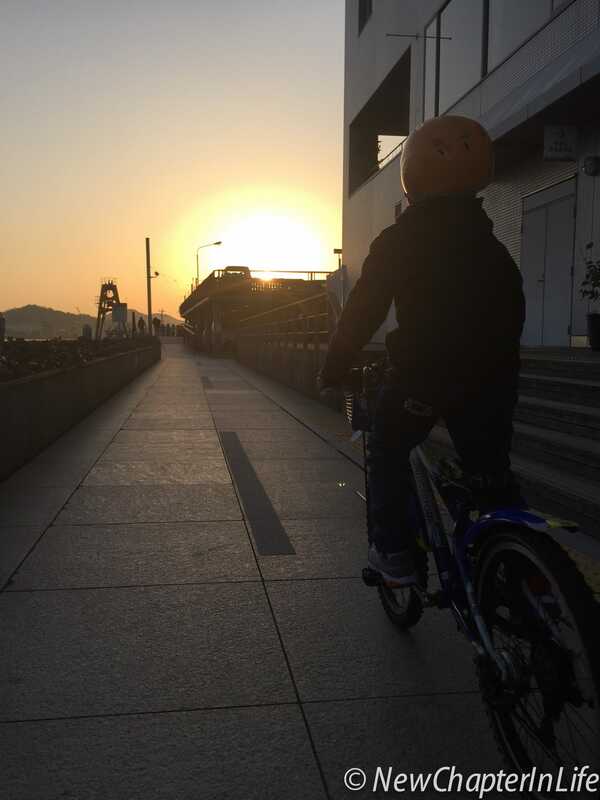 Together with the friendly drivers we met along the way, Shimanami Kaido gave us a wonderful cycling experience. By the time we arrived at the Innoshima Ohashi Memorial Park, it was already two o’clock in the afternoon. As we had to catch our train back to Hiroshima by the evening, we had no other choice but to head back to the Onomichi station. 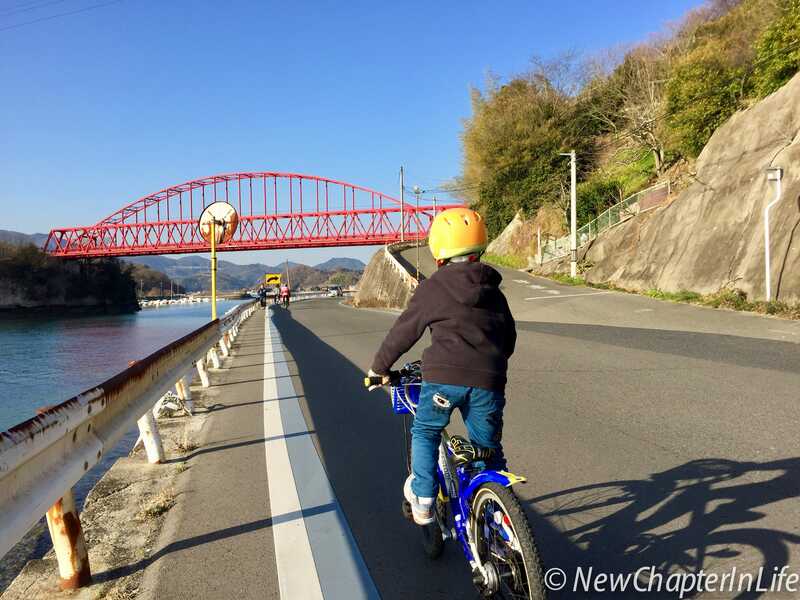 On the return trip, my boy asked if we could come back again and ride along the Shimanami Kaido from Onomichi to Imabari. 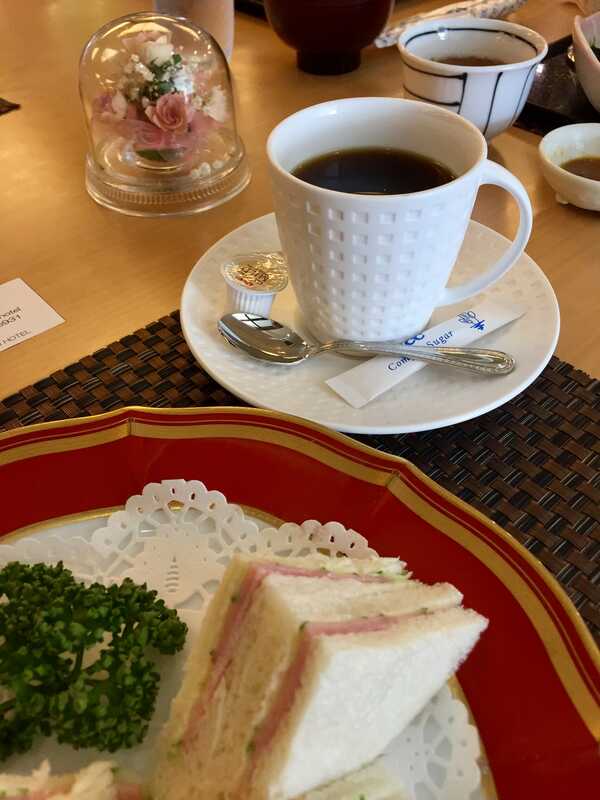 Living up to my promise, I had gathered all the information on Shimanami Kaido, working out the itinerary and making all the necessary reservations. During my boy’s summer holidays in 2017, we sat out to conquer the Shimanami Kaido. 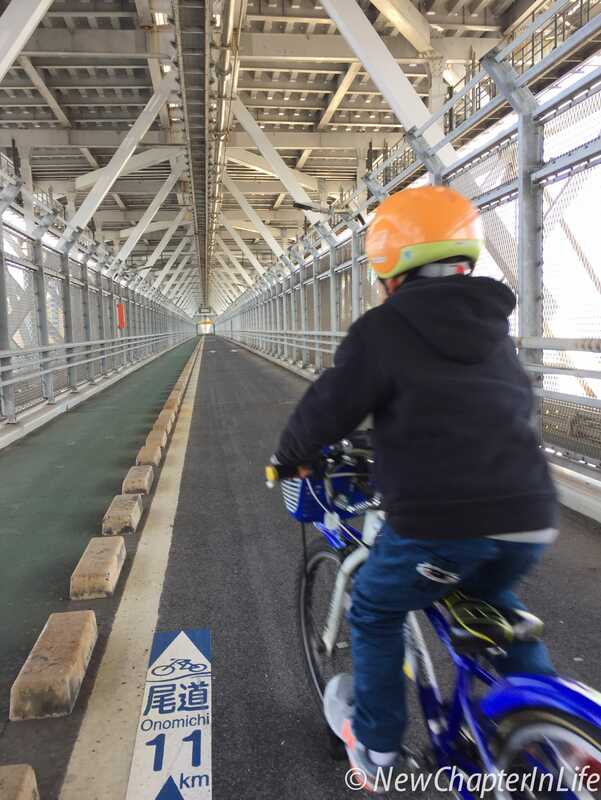 Shimanami Kaido is a 60+ Kilometers cycling course consisting of interconnected roads and bridges that links the Hiroshima prefecture to the Ehime prefecture of Japan. Shimanami Kaido starts from Onomichi (尾道) and ends in Imabari (今治). The Expressway is a tolled highway while the Cycling Road is free for cyclists and pedestrians. Along the six islands, cyclists can choose their own cycling course to suit their own needs. The relatively easier one is the recommended course as shown in the Shimanami Kaido Cycling Map (available in “Other Useful Information” below). For those who want to have greater challenges, they can pick either the Intermediate and the Advance courses. Given the total distance of 60+ Kilometers, one can complete the entire journey within one day. However, I don’t recommend to be so rushing as this is definitely not a cycling race. Instead, I would suggest to take a more relaxed ride and enjoy the beautiful scenery along the islands across the Seto Inland Sea. We had made our reservation at “Juicy Fruits“, a family operated B&B, for the night. Next, how about the luggage? Some may consider to only carry what are really necessary in backpacks during the ride. Instead, we planned to make use of Japan’s famous courier services to transfer all our luggage from Onomichi to Imabari and bring only few clothes & personal belongings for the stay in Ikuchijima. TA-Q-BIN (宅急便) from Yamato Transport is one of the great courier services available in Japan that provides Next-day delivery of the luggage (and other parcels as well). 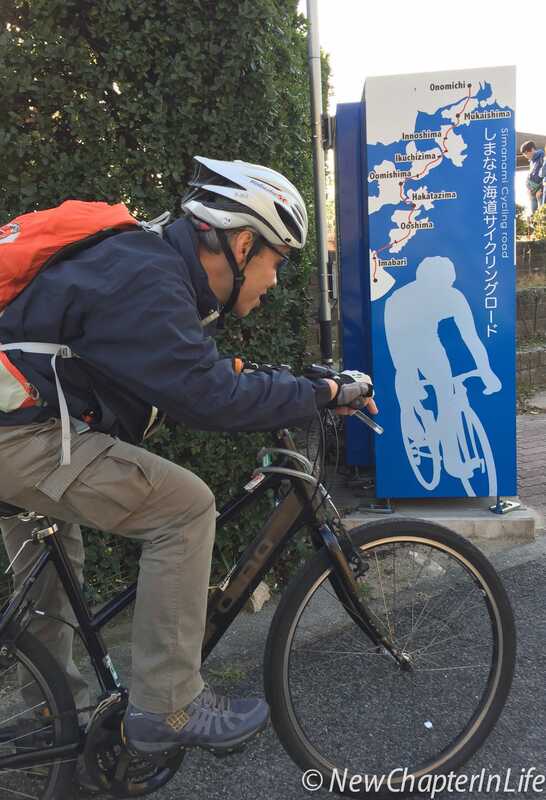 Alternatively, there is also the “Sagawa Hands-free cycling service“, a Same-day delivery service that are specific to the Shimanami Kaido. If you are living in one of the participating hotels in Onomichi and Imabari, you can have your luggage be picked up in the morning and delivered in the evening. Sounds great, right? Since we planned to have a two-days cycling trip along the Shimanami Kaido and the hotels we reserved (Onomichi Kokusai Hotel & Imabari Kokusai Hotel) were on the list, either courier services would be fine to us and we just check to see which one is more convenient/cost-effective when we have arrived in Onomichi. 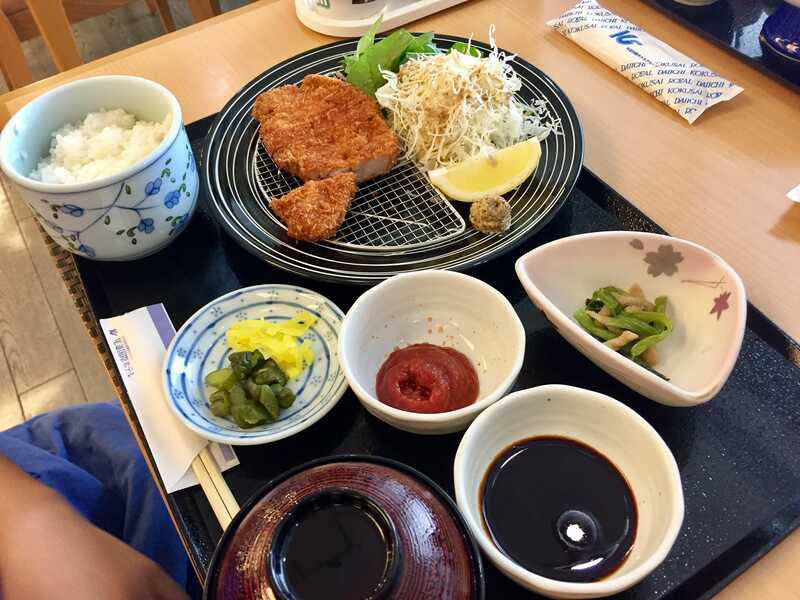 As usual, we took a more comfortable approach by staying in Osaka for the night after arriving at the Kansai International Airport in the afternoon of 5 August 2017. Early next morning, we took the subway to Shin Osaka Station to board the Takaido-Sanyo Shinkansen to Fukuyama, followed by local JR train to Onomichi. K-cart spotted on our way to the subway station. They are available for sight-seeing around the Osaka city area. 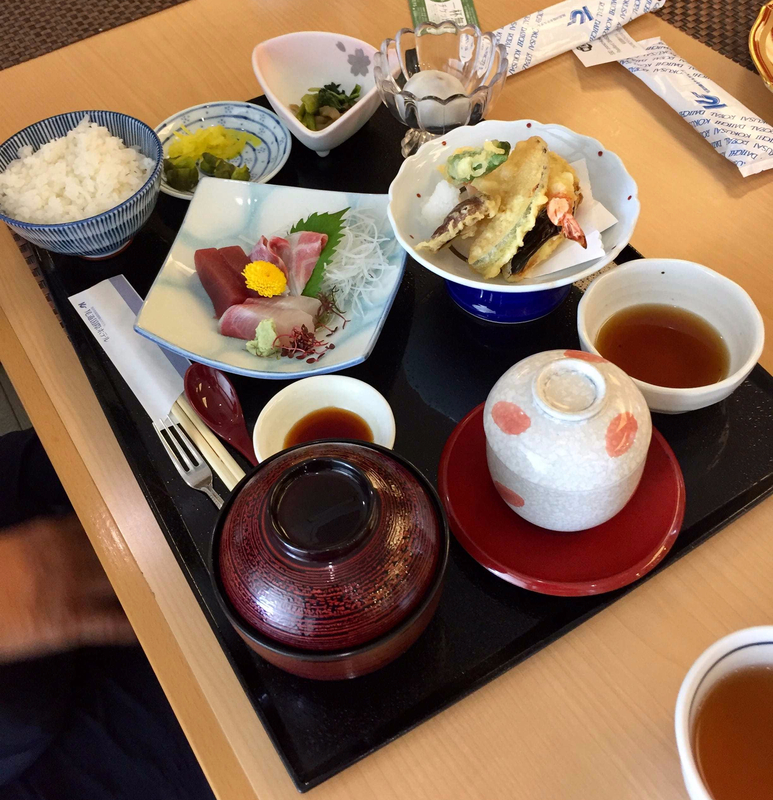 The Onomichi Kokusai Hotel is about 1.3 Kilometers from the JR train station. Not very far away but will definitely get you exhausted if you are walking with your big suitcases, bags and backpacks under the hot sunlight. That was my case and I had also got one of the suitcase’s wheels broken along the way. Later on, I learnt from the front-desk staff that there are regular shuttle buses scheduled between the station and the hotel. Time for a late lunch and see what we had got. After lunch, we decided to have a warm up ride before the actual cycling trip on the following day. We had not brought our own bikes and we opted to rent bikes at the Shimanami Kaido Rent-a-cycle Terminals. You can rent the bikes at one station and return at the others which is very convenient. The one in Onomichi is at the Onomichi Station Port Parking space, located next to the ferry pier. Daily rental is ¥1000 per adult and ¥300 for child. Those bikes are mainly made in Japan (by Bridgestone) or Taiwan (by Giant). Despite condition of the bikes may vary across the rental terminals, they are totally acceptable with respect to safety considerations. By the way, we had brought along our own helmets for the trip. Weather condition was not very good in the afternoon. Dark clouds were hanging above and rain would soon be coming. Shortly after we had ridden one or two Kilometers into Mukaishima, it started to rain heavily and we had to return to Onomichi for safety reason. When we returned our bikes to the rental terminal, the staff told us that a strong Typhoon was coming and bike rental services would be suspended until further notice. They also reminded us not to ride along the Shimanami Kaido as it would be very dangerous during typhoon. Later that night, I had made some online checking and noticed that typhoon Noru (ID: 1705) would be over the Seto Inland Sea area on the following day (7 August 2017). OMG, that was our destination on the following day and we would not be able to continue our trip! How about all my plans and the reservations that already been made? If you would like to know more about Shimanami Kaido, click here. Not me. He learned the tricks from Japanese cartoon 飆速宅男. The way he rode out of the seat was quite professional!